A new NASA study suggest that climate change is likely to make the wine producing regions of France and Switzerland too hot for traditionally grown grapes, and the vineyards in these regions may then have to switch to hotter climate varieties, change long established methods, move or go out of business. In France and Switzerland, the best years for grapes are traditionally those with abundant spring rains followed by an exceptionally hot summer and late season drought. This drives vines to put forth robust, fast maturing fruit, and brings an early harvest. In the new study, published in the journal Nature Climate Change, the scientists analysed 20th and 21st century weather data, pre-modern reconstructions of temperature, precipitation and soil moisture, and vineyard records going back to 1600. They showed that in the relatively cool wine-making areas of France and Switzerland, early harvests have always required both above average air temperatures and late season drought. This is because in the past, droughts helped heighten temperature just enough to pass the early harvest threshold. The researchers said that up to the 1980s, the climate was such that without the extra kick of heat added by droughts, vineyards could not get quite hot enough for an early harvest. This has now changed. The study found that since then, overall warming alone has pushed summer temperatures over the threshold without the aid of drought. On the whole, France warmed about 1.5 degrees Celsius during the 20th century, and the upward climb has continued. “Now, it’s become so warm thanks to climate change, grape growers don’t need drought to get these very warm temperatures,” said lead author Benjamin Cook, climate scientist at NASA’s Goddard Institute for Space Studies. “After 1980, the drought signal effectively disappears. That means there’s been a fundamental shift in the large-scale climate under which other, local factors operate,” Cook said. 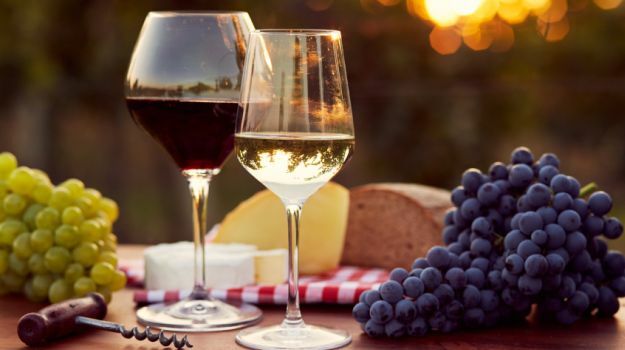 The finding is important because higher quality wines are typically associated with earlier harvest dates in cooler wine growing regions, such as France and Switzerland. “Wine grapes are one of the world’s most valuable horticultural crops and there is increasing evidence that climate change has caused earlier harvest days in this region in recent decades,” Cook pointed out. “Our research suggests that the climate drivers of these early harvests have changed,” Cook noted.